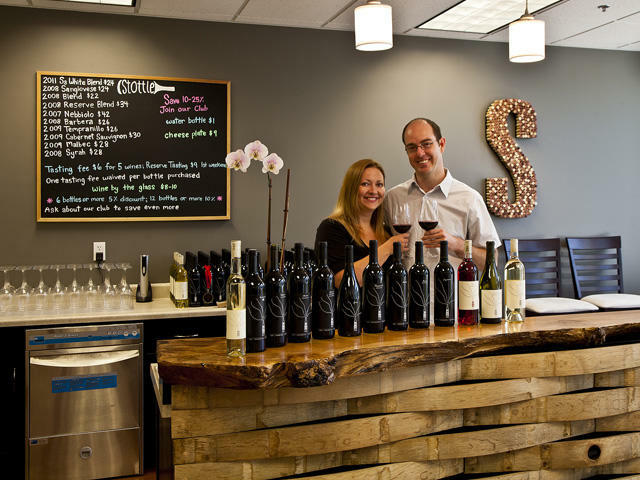 The Source: Stottle Winery, Josh Stottlemyer. Favorite holiday dish: Grilled Garden Vegetable Lasagna with Herb Ricotta, Buffalo Mozzarella, and Puttanesca Sauce. Perfectly Paired: Lasagna and other Italian dishes with red sauce pair perfectly with our Sangiovese. Sangiovese is a grape traditionally from the Tuscany region of Italy and makes an excellent food wine. Keep an eye out: We are releasing three new wines from 2013 over the coming month. Be on the lookout for the first release of our GSM (Grenache, Syrah, Mourvedre) Rhone-style blend. And the new vintages of our Hombre (Tempranillo, Malbec, Grenache) Spanish style blend, and our 100% Tempranillo. 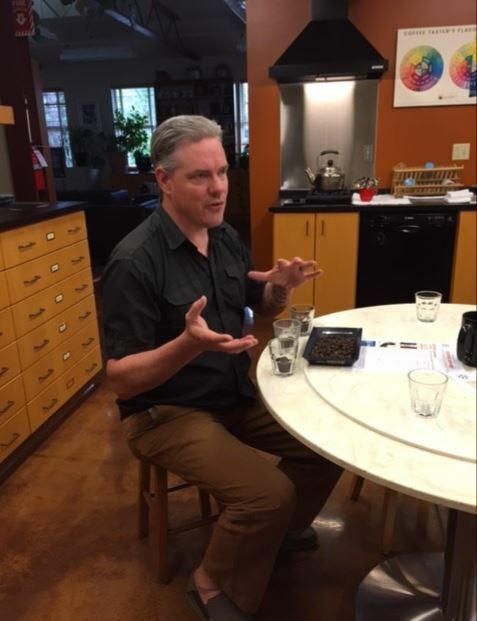 The Source: Batdorf and Bronson Coffee Roasters, Josh Russert. Favorite holiday dish: My favorite holiday dish is a “leftover” from Thanksgiving that we always carry through to the New Year: cranberry sauce! We add different fruits as we make it for different holiday meals- a little orange, then maybe some pomegranate or persimmons, and then stone fruit jams from the summer go in when we get to New Year’s day, to make a sweet compote for pancake brunch with friends and family. Perfectly Paired: This pairs nicely with any of our Latin American coffees that have good acidity and of course, our Holiday Blend has notes of cherry, cranberry and dried fruit that work well with any fruit compotes and jams. Keep an eye out: We released our new Nicaraguan coffee Cerro Jesus this month and will add several new single origin coffees as we move into the new year, including our El Salvador Cayetano. Favorite holiday dish: My favorite holiday dish is pecan pie. I’m not much of a sweets person, but the savory combination of pecans, salted butter and the caramelization of the sugars balance out the sweetness nicely. And I don’t want any store-bought pecan pie with a gelatinous center and light sprinkling of pecans on top – I’m talking about real deal homemade pecan pie, with a homemade crust and stuffed full of pecans throughout. Perfectly Paired: Our Wreathing Havoc Imperial Red Rye Winter Ale is the perfect complement to a good homemade pecan pie. It is brewed with a combination of two different rye malts that give spiciness and berry notes. Keep an eye out: We are most excited about the upcoming bottle release of our Second Anniversary Ale, which premiered on tap at our second-anniversary party in November. 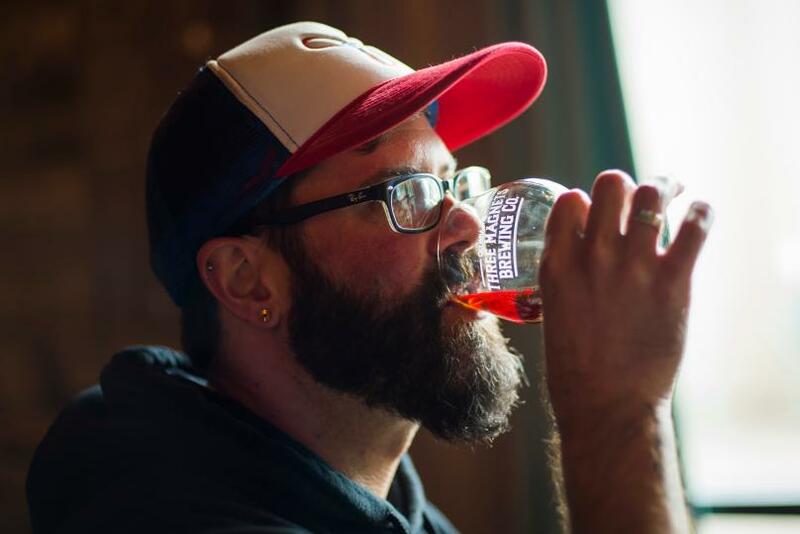 This red rye sour ale was aged in red wine puncheons (very large wine barrels) for over eighteen months, and then bottle conditioned (carbonating in the bottle) for six weeks. It is not an overtly sour beer and is well balanced by a little bit of sweetness. The bottles will be for sale in the Portland, Olympia and Seattle markets this Friday, Dec. 23, and we expect them to go fast! Plan your visit or explore more ideas at www.visitolympia.com. Connect with the Olympia-Lacey-Tumwater Visitor & Convention Bureau on Facebook, Twitter (@Experience_Oly) and Instagram (@VisitOlympia). 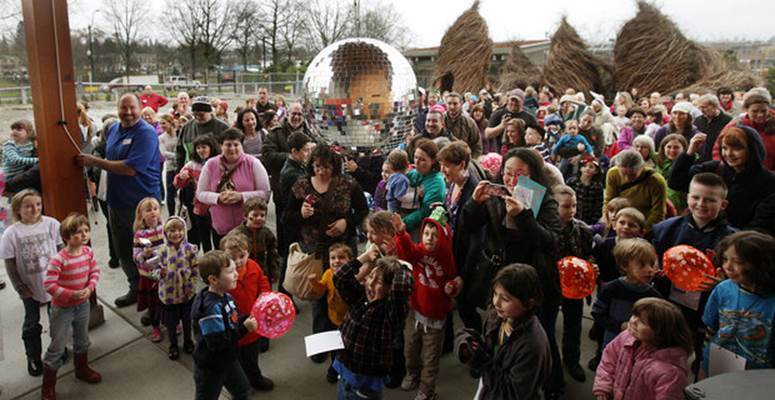 Bring the entire family to the Noon Year’s Eve Party at the Hands on Children’s Museum, there’s a ball drop every hour from 10am-5pm. Don Hawaiian shirts, but don’t forget the mittens and hat and take part in this year’s Blizzard Beach Bash theme. 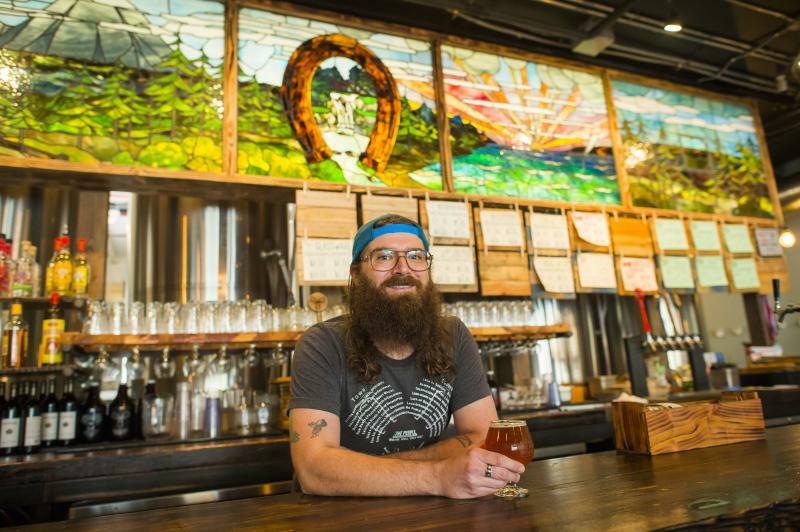 Head to the Oly Taproom for pizza and beer to partake in the 2nd annual Brew Year’s Eve Bash. Purchase tickets in advance for $30, or $40 at the door. Enjoy live entertainment, music, gambling and a ball drop at midnight at Lucky Eagle Casino and Resort. Ring in the New Year at Red Wind Casino. There will be cash drawings, complimentary party favors, live music and a countdown to midnight with a balloon drop. Take advantage of one of the New Year&apos;s Eve packages and stay overnight at Hotel RL in Olympia where visitors enjoy a seated dinner, live music and a champagne toast at midnight. Join fellow enthusiasts in this chilling ritual of bringing in the New Year! 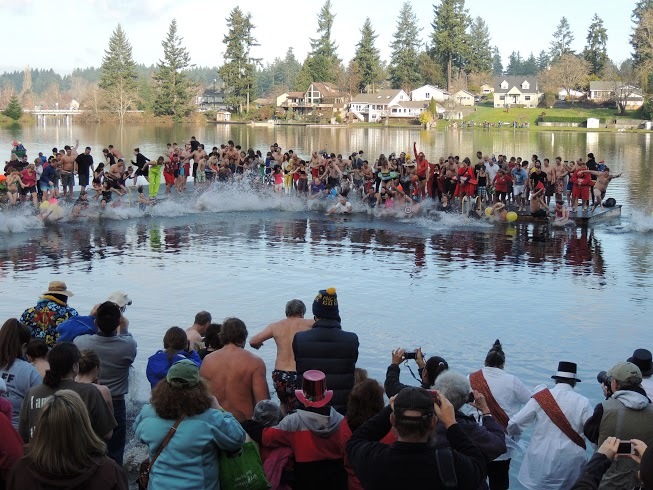 Enjoy campfires, music, hot cocoa and coffee — culminating with the Polar Bear Plunge at Long Lake Park. Or stay warm and dry on shore and cheer on the swimmers. All ages welcome. 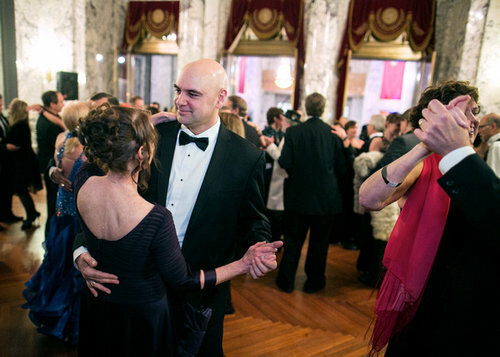 Dress to the nines and partake in an enchanted evening at the Governor&apos;s Inaugural Ball in downtown Olympia. The opening ceremony is filled with introductions of officials, toasts and live entertainment. There is something for everyone&apos;s musical liking in venues staged throughout the area. More than 360 top chefs and their apprentices will prepare tasty grown-in-Washington delicacies for tasting.